Here is Charice's new song and music video for "Far As The Sky", the theme song from the Japan tv series "Bull Doctor". "Bull Doctor” is a medical and mystery drama about a skilled forensic scientist called Odate Tamami (Esumi) trying to find out the truth behind the deaths of various people and a female detective called Kamatsuda Chika (Ishihara) who often clash due to the relentless nature of the former. “Bull Doctor” will start airing through NTV on July 6th. 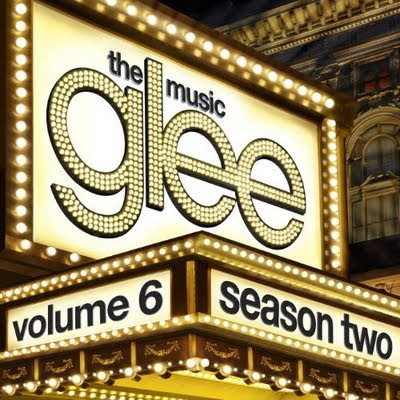 "As Long As You're There" by the Glee Cast (as sung by Sunshine Corazon) - Entered #93 on the Billboard Hot 100 Chart on the Week ending June 11, 2011. Billboard Charts - Week ending June 11, 2011 - ALAYT Charts! The power ballad that won the top prize for Vocal Adrenaline in the Season 2 Finale of Glee, enters the Billboard Hot 100! Charice led "As Long As You're There" enters the Billboard Hot 100 Charts at #93. "Louder", Charice's new song that will be part of her album set to be released soon, failed to chart on the Billboard Charts - but on a lighter note, it was reported that Charice will be doing a music video for this song. Excited? Charice returns as Sunshine Corazon in the final episode of the 2nd Season of "Glee", singing at the Show Choir National Competition in New York with the Vocal Adrenaline. Come back next week again to see how the songs chart on Billboard! Watch out for the Glee Season 2 Finale - Charice will be singing an original Glee song "As Long As You're There" at the Nationals with Vocal Adrenalin, and will be giving a tough battle against New Directions for the plum prize. Looking every bit a Hollywood diva in the cover art for her latest release - 2 songs: "Louder" and "Lost the Best Thing" will be released via Amazon on May 31, 2011. Filipino singing superstar Charice is set to sing the Philippine National Anthem "Lupang Hinirang" for Manny Pacquiao's fights against "Sugar" Shane Mosley tonight in Las Vegas. 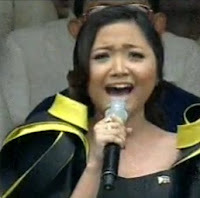 Charice was famously chosen to sing the same at the inauguration of the current President of the Philippines, Pres. Benigno "NoyNoy" Aquino in 2010, where she was faithful to the tempo and the melody of the anthem - an issue raised by against many singers who perform it for Manny Pacquiao bouts, which they state violates the Republic Act No. 8491 or the Flag Law. The law states that "the rendition of the National Anthem, whether played or sung, shall be in accordance with the musical arrangement and composition of Julian Felipe." It is a march, not an RnB or Ballad song. "All By Myself" drops off the Billboard Hot 100 this week after debuting last week at #87, but no worries as Charice prepares to wow the world of boxing with a rendition of the Philippine National Anthem on the bout between another prominent internationally known Filipino, Best Pound for Pound Boxer, Manny Pacquiao vs Shane Mosley. Also in the works, a collabo with fellow young singer Jasmine Villegas and Taboo and Apl.de.Ap of the Black Eyed Peas. It's going to be epic! Charice included on album "Glee: The Music, Volume 6"
Filipina singing sensation, Charice, who plays Sunshine Corazon on the second Season of the hit TV series Glee, will be featured in one of the songs on the upcoming album "Glee: The Music, Volume 6" - the final official album release for Season 2.of Glee. It will be available beginning on Monday, May 23, 2011. The songs will include Turning Tables featuring Gwyneth Paltrow, I Feel Pretty / Unpretty duet by Lea Michelle and Diana Agron, As If We Never Said Goodbye by Chris Colfer, and Born This Way. Some tracks we haven't heard yet: Rolling In The Deep, Isn't She Lovely, and more original tracks including "As Long As You're There" (featuring Charice), "Pretending," and "Light Up The World" a New Directions showcase co-written by Max Martin. With an original song featuring Charice, it could mean that either (1) she's gone back to join New Directions and was given a solo for the Nationals or (2) Vocal Adrenaline is doing original songs for the Nationals. Read All Charice related posts here. This week, Charice's Glee comeback song "All By Myself" debuts on the Billboard Hot 100 Chart at #87. It is also at #62 on the Billboard Digital Songs Chart. Wondering where "Before It Explodes" is? Unfortunately, BIE did not chart - yet! Just keep requesting for it and buying the single on iTunes. With Charice's upcoming stint to sing the National Anthem in Manny Pacquio's boxing match, her profile will surely increase again. April 19, 2011: How high will "Before It Explodes", "All By Myself", "One Day", and "Waiting Outside The Lines Remix" chart on Billboard? Not 1, not 2, but 4 downloadable singles were released by Charice yesterday, April 18, and with the Glee "Night of Neglect" episode shown today, Chasters all around the world are anxious to find out how high these 4 songs will go on the Billboard Charts. In 2010, Reyjr.com tracked Charice's performance on the Billboard Charts for the songs "Telephone" and "Listen" on Glee, and of course, her first official US single, "Pyramid". This time around we have 4 songs to watch out for on the Billboard Charts. 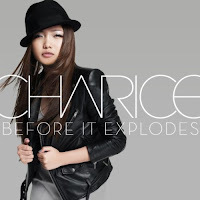 April 18, 2011: Charice new single "Before It Explodes" released TODAY! Finally new songs to watch out for on the Billboard Charts! A song written and composed by Ari Levine and Bruno Mars, and produced by the Smeezingtons, Charice's "Before It Explodes" drops over at iTunes today. Download it NOW! Tomorrow, catch Charice as Sunshine Corazon in the new episode of Glee - "Night of Neglect" singing "All By Myself". According to Billboard.com, this song "was originally a hit for Eric Carmen in 1976 when it hit No. 2 on the Billboard Hot 100. Dion's version hit No. 4 in 1997 on the Billboard Hot 100." 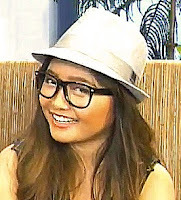 How high will it chart for Charice? Find out here on the Charice Billboard Watch 2011! ALSO! "One Day" new Charice song written and produced by Nick Jonas also on iTunes! And more! Greyson Chance (under Ellen Degeneres' label) single "Waiting Outside the Lines" Remix featuring Charice! Woot! Also available on iTunes. Charice returns to Glee as Sunshine Corazon in the episode "Night of Neglect" slated for April 19 (April 20 in the Philippines). Are you excited? Charice and Bruno Mars - "Before It Explodes"
"Just let it go and stop the madness before it explodes...Gotta let it go..."
The 4 minute song is set to be released on April 18 - according to Amazon. Can't wait? Listen to a snippet HERE. Potential Billboard Chart Hit? Bruno Mars and Charice Collaboration! Aside from Bruno Mars, Charice has been mentioned to be recording songs with former American Idol Judge Kara Dioguardi, Sean Garret, Jim Beanz, Jackie Boyz. and Soulshock. Are you excited to hear the new songs? Any news on when the new album will be released? After expertly playing herself in the Alvin and the Chipmunks: The Squeakquel in 2009, Charice is reported to be in Boston filming her second Hollywood movie titled "Here Comes The Boom" where she will be playing opposite stars Salma Hayek and Kevin James. It is set to be released in 2012. The movie is about a music teacher who is forced to moonlight as a mixed martial arts fighter in the hopes of saving his school’s music program. It is presumed Charice's role (Malia) will be be one of the students in the music program. In other news... is it April 19 yet? For Celebrity Blogger Perez Hilton's birthday, Charice was in a video montage with other superstars Justin Bieber, Jennifer Hudson, Taylor Swift, Nelly Furtado, Sugarland, Adele, and the Gaga herself, giving greets and shoutouts. Charice sang a version of Lady Gaga's Born This Way and it was awesome! Billboard Charts ending Week of March 12, 2011 - Sunshine Corazon is back! Mark your calendars! 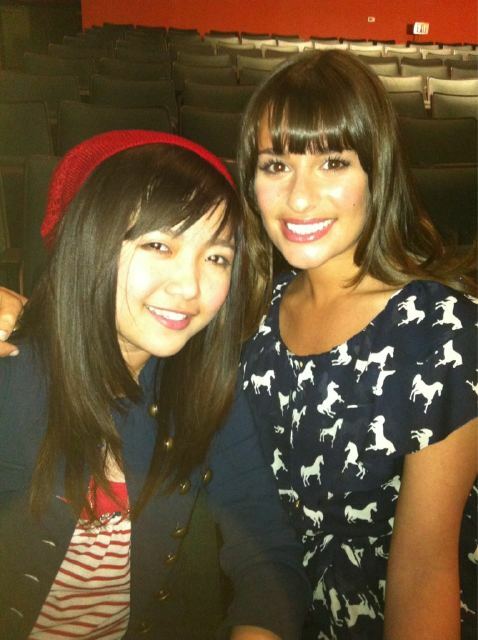 On March 22 April 12 April 19, Charice is rumoured to be returning to Glee for the episode 17 titled "Night of Neglect"! 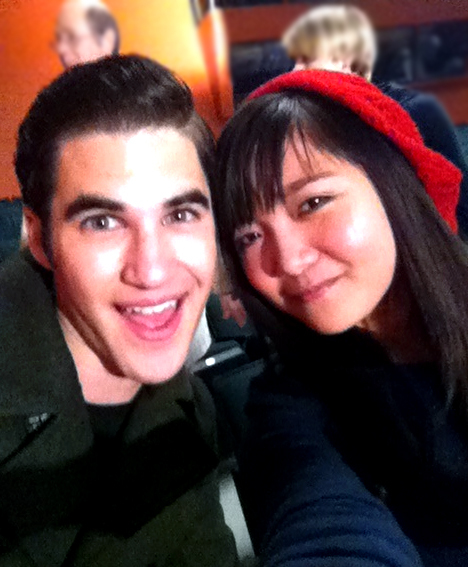 She is currently filming for the famous Fox TV series and we have these pictures right from the Glee set! ps. By the way, Charice is also rumoured to be set to sing the song on her YouTube video linked below - the Eric Carmen / Celine Dion classic "All By Myself". How excited are you?? Please don't forget to Like or Subscribe to this blog for more updates! Chasters Challenge: Get this YouTube video to 1,000,000 in 2 weeks! Here is the challenge: CHASTERS! Make Charice’s ‘All By Myself’ a 1mill-hit Hit! 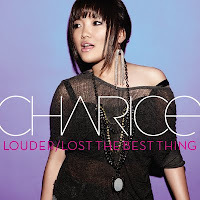 Congratulations Charice for winning 81.3 FM J-Wave Tokio Hot 100 Award for Best New Artist! She beat out fellow Pinoy Bruno Mars, and fellow teen phenom Justin Bieber too! And so although there are no Charice hits on Billboard again this week (Justin Bieber's remixes album is #1 on BB 200), we patiently await her return to the hallowed charts! (Hehe!) Sooner than later I hope! On February 21, Charice began her Japan Tour in Nagoya. Next stop will be two shows in Tokyo on February 22 and 23, and finally a February 25 show in Osaka. According to the Billboard.com, Charice's friend David Archuleta has been dropped by his label, Jive Records on grounds that his sophomore album "The Other Side of Down" which spawned the hit song "Elevator", sold only 67,000 copies, a teeny number compared to his 2008 album which sold 765,000 copies. 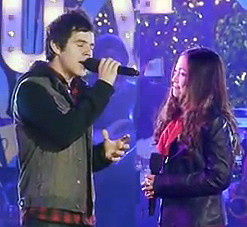 His 2009 Christmas Album "Christmas from the Heart" that included the "Have Yourself a Merry Little Christmas" duet with Charice, sold 246,000 copies. When is Charice's new album coming out, anyway? This week, a Filipino is on top of the Billboard Hot 100 Chart. 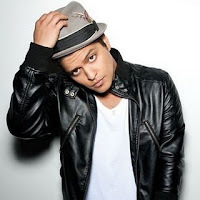 Hawaiian born Filipino-Puerto Rican, Bruno Mars is #1 with Grenade. His album Doo-Wops & Hooligans, is #5 on the Billboard 200 Albums. The Charice Billboard Watch is eagerly awaiting Charice's return to the esteemed charts. We have rumors that her new album will be released in September 2011. What have you heard? We also eagerly wait for the return of "Glee" on February 6 - post-Superbowl episode, and of course, another jaw dropping performance from Sunshine Corazon. Last year, we tracked Filipino singing sensation Charice's hits on the US Billboard Charts and witnessed her rise to the Top of the Billboard Dance Charts, notch an impressive #8 debut on the Billboard Albums Chart and reach #56 on the Billboard Hot 100. Her song "Pyramid" featuring Iyaz also charted in the Canadian, Japanese and European Charts. Let's not forget of course her duet with Glee co-star Lea Michele - "Telephone", originally by Lady Gaga and Beyonce, that entered at #23 on the Billboard Hot 100 Chart, and her Glee version of "Listen" which debuted at #38. With Charice's much awaited return to Glee, with rumors that she may be returning in the touted post-Super Bowl "Thriller" episode, and with news of an upcoming album, I am kicking off the Charice Billboard Watch 2011 this week. I heard she'll release the album Summer 2011.